It’s all about friendship, really. How many of us have a friend who has been there through thick and thin, who even though you don’t see them for years, you can just pick up with where you left off. No recriminations, just pleased to see you. Someone you can e-mail when you need a moan, or when you need to reassure. Someone with whom you have shared memories that go back, it feels, to the dawn of time. If you have such a friend then you are truly lucky. I have one. Her name is Sarah, and we met at school, sixty years ago this month. We were very young, apprehensive at starting a new school, and both short-sighted. It was this optical flaw that brought us together. I couldn’t see the blackboard from the back of the class, and she had an empty desk beside her towards the front. When the teacher saw me squinting through a tiny hole in a ruler – through which, I’d discovered I could see perfectly – he moved me to sit beside Sarah. Like I said, there have been ‘thicks and thins’, ups and downs, delights and traumas in both our lives – I almost lost her twice – and for a while, we drifted apart, but in those childhood years, we played together, jumping imaginary ponies over broom handles perched on chairs, and wrote stories together typed out on my mother’s Olivetti typewriter. We pushed each other around her lawn in her grandmother’s bath chair and delighted in depositing each other into the prickliest of holly bushes. We kept fancy mice together and sent them all over the country to mouse shows by train. We had dogs together and turned them into show jumpers. I taught her to ride, and we kept our ponies together and explored the countryside for miles around our homes. We became the sisters neither of us had but with less bickering. We went to each other’s weddings, and though we’ve never managed to live very close to one another thereafter, we visited, wrote letters, had outings with our children and courtesy nieces and nephews and generally enjoyed one another’s company. 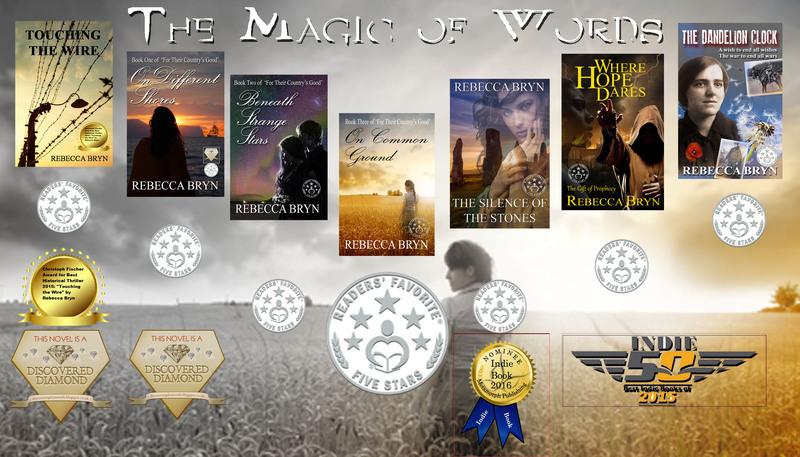 As our children grew up and the physical distance between us became greater – I live in West Wales and she in County Durham – we revisited our mutual love of writing. She started it. I blame her unreservedly. To begin with, she would send written pages of a story – her handwriting is legendary, and I’m still the only person who can read it. Even she struggles. I would send them back with comment, and she’d write – did I say write? – she’d scrawl a letter followed by a squiggle or a snake and return them. it was a lengthy and protracted process that would take a couple of weeks for a chapter. The advent of the computer and e-mails was a godsend. Chapters arrived by e-mail, which I could read – I mean actually read – in Word, post comments and corrections in tracking and return the same day, sometimes within the hour. Then one day, I decided to have a go at this writing lark myself, and I was hooked. Sarah Stuart’s novels can be seen at Amazon They’re really rather good. or maybe not… Maybe, she’ll murder me in her next novel ‘Two Face the World’. You know my memory gaps? One of them is about you ever sitting in the next desk. My earliest memory of you is envy, green-eyed jealousy. Of what, I hear you ask . You had a beautiful, long, golden, ponytail, and my mother, who you admit to adoring, kept having my horrible mousy brown hair cut short. Why, when it cost money of which we had little, I have no idea. She was the same from the start, and the first hairdresser – her name was Mrs Brown – cut my ear! I have to agree about the handwriting. I sent you notes I’d made so you could tell me what I’d said. Mice, dogs, ponies, and that fool of a horse of yours who looked beautiful and thought he could walk with all four hooves in a straight line – you did actually turn a greenish-white when I mentioned it, but what are friends for if not to save you in dangerous situations? The couple of times you nearly lost me was probably because you failed to mention something, but you weren’t to know a fool in a large van was arguing with his wife – scene used in my next release, folks – and I did buy a fast car with the compensation – trying to kill Sarah doesn’t come cheaply. The second time, your job was talking to him indoors and relaying the news – dying, almost dead, critical, back to annoy us – to all my Facebook friends, and a huge thank you to them for posting reviews on Dynasty of Deceit – if I hadn’t put it on pre-order, it wouldn’t have gone live anymore than I did. Nasty experience already used in Sweet Temptation, so if you have no idea what I’m talking about, go read it -and don’t forget to review. Obviously, we shall have to live to be a hundred, as will Tom Benson, or my new website will sink without trace, so raise your glasses, friends – and that includes Patrick, who might be hesitant with alcohol, being Irish – and drink to the next 30 years. Cheers! P.S. A murder could be arranged. Cheers, Sarah. Happy days and hopefully, many more to come. And did I ever thank you for stopping me galloping over the edge of that quarry? I still turn greenish-white at the thought. Which quarry? When? Where? HOW??? Oh, gosh. I think it was somewhere at the back of Polwell Lane. It wasn’t a field I knew. I was galloping Monarch gaily along and you were on Meg, yelling and waving your arms at me. Fortunately, I managed to stop, a feat in itself on that mad animal, but I was frighteningly close to a huge drop. You knew the quarry was there. I didn’t. I’ve obviously blanked that out, but Monarch was the idiot who tried to walk with four hooves in line, so I’ve no idea how you stopped him. I know what Him Indoors would have done – bailed off. He did it from Jester when he was about to jump a gate, and guess who left to walk back to the village to collect the wretched animal. Looking back, we had some mad horses and ponies. Nutmeg was probably the sanest, and my Uncle Tom said she had feet like a carthorse. Not a bit impressed by her having a Prince’s Thumb Mark, my Uncle Tom. Meg was a sweetie. Thick as two short planks, but not a bad bone in her body. A perfect first pony.